As part of our research on school leadership this year, SCORE has partnered with the Wallace Foundation to learn about national practices that can better support the leader pipeline. 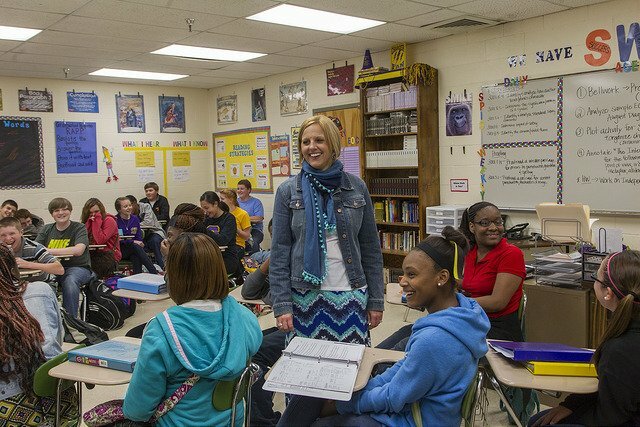 The work that the Wallace Foundation is leading with states and districts across the country could help inform Tennessee’s own policies to better prepare and support principals. For the past 18 years, The Wallace Foundation has been working to improve education leadership on the assumption that effective leaders are essential for the success of efforts to improve schools. What was a “big bet” in 2000 has now been proven. Given the importance of principals, it’s understandable districts want to know what they can do to support them. Fortunately, research from Policy Studies Associates in 2016 has found that it is possible for urban school districts to effectively implement systems to develop and support principals – systems called “principal pipelines.” By principal pipeline, we mean a system based on leader standards, for preparing and selectively hiring principals and then supporting them on the job with mentoring, coaching from their supervisors, and helpful feedback from fair evaluation systems. In the study of six districts funded by Wallace to develop and implement pipelines, PSA found benefits for both principals and their districts. Principals felt better matched to their schools and better supported. Notably, developing and maintaining such systems does not come with a large price tag. RAND has found (2016) that this cost .04 percent of the annual district budget. Another important finding from Vanderbilt and Mathematica (2018) is that the principal’s supervisor can play a large role in supporting principals in leading teaching and learning. Six additional districts, funded by Wallace, have been able to redefine those positions away from “compliance” and toward principal coaching in ways the principals have found helpful. It is also good to see increasing recognition of the importance of school leaders across the nation. The Every Student Succeeds Act speaks to the importance of principals and other school leaders. Titles I and II Part A are important funding sources that states like Tennessee are using to develop principal pipelines and training programs, including “leading for equity”. All 50 states have included school leadership in their ESSA plans (New Leaders, 2018) with 24 states using Title II Part A’s optional 3 percent set-aside to develop programs for the leaders. Forty-eight states have adopted or adapted some version of the national voluntary leader standards, PSEL (CCSSO, 2015) or ISLLC (CCSSO 2008). There is much work ahead – with each state and district developing leader strategies that best help achieve the larger mission – particularly school improvement for the most challenging schools. This is difficult, but rewarding work. Surely, all students deserve excellent teachers… and excellent school leaders. When both are present, everyone benefits. Most of the publications cited in this article, along with many others, are available without charge at www.wallacefounation.org.